Detroit was once hailed as the “Pearl of the North East”; it boasted the highest per-capita income of any American city, a booming economy, a rich cultural life, and a model school system. Bud Dauphin, a florist in Minneapolis, MN,from Schaaf Floral,wants to warn people about deceptive advertising practices of florists on the internet. Although a law has been passed to prevent out of state companies from pretending to be local, the practice continues. He has released information helping people to avoid this type of scam. Australian expat writer and editor, Samantha Richardson, is working to help millennials who have a story, but very little support, to craft and write their message for publishing. Dr. Anthony Pivonka was designated a bestselling author for his contribution to the 3rd edition of Local Business Mavericks about treating chiropractic patients using the most scientifically validated chiropractic method. 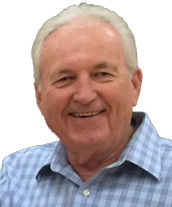 Larry Jack, owner of Jax Pro Pest Control becomes a bestselling author with his contribution to Local Business Mavericks about bedbug control. 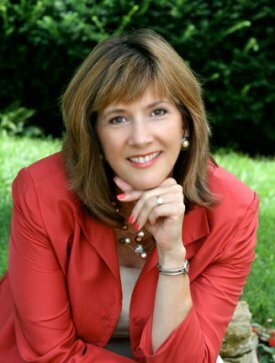 Jenny Busby, CEO of Element Restoration, LLC, was designated a bestselling author for her contribution to the 3rd edition of Local Business Mavericks. Barbara Teicher, president of Etc. Executive Training and Coaching in Kansas City, will bring her distinctive approach on business communication tactics to information professionals at a premier conference in Canada. Toronto – After spending just 4 months analyzing the initial layers that beginners face when learning Japanese, Adam Emanon published his guide for rapid learning the challenging language, now available as “The Curiosity Guides” series on Amazon. Dr Nathan Scholten, Owner of Hopi Animal Hospital, Scottsdale, AZ Appears in Photo Essay in USA Today About Animal Surgery. Dr Nathan Scholten, a Scottsdale, AZ veterinarian was chosen to participate in a photo essay for USA Today about best practices in veterinary surgery. Dr Scholten was selected due to his special expertise in animal surgery. Jase Souder, national speaker and real estate sales trainer, shares his unique perspective after working closely with and building relationships with hundreds of successful real estate professionals working in the top 10% of their field.